you! I heard you talking smack all last year about how you were killing it out on the water. Well, let me tell ya. Were all getting sick of you sitting in the boat and telling everyone how good you are. Get up, grab your board and learn something new. To help you out, theres a new instructional hitting the streets called Waketrix. This movie reveals the true movement of wakeboarding technique. Even all you so-called advanced riders will benefit from the foundation drills. Approved by the top Wakeboarding Associations and Wakeboard Camps, Waketrix is truly the professional wakeboard coaching tool. 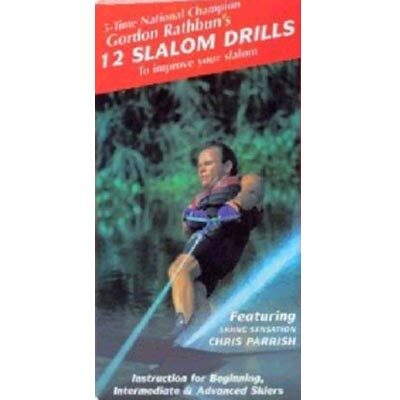 Its the most comprehensive easy-to-use instructional, plus it features some new training and fundamental trick drills that are revealed for the first time. 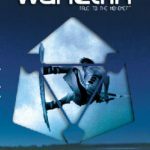 Waketrix has the coaching secrets and tips that have helped the pros get where they are today. So, quit lying about how good you are and learn something new. 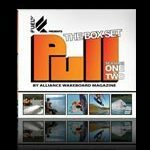 Fuel TV and Alliance Wakeboard magazine proudly introduce the 5-DVD box set of Pull. Fuel TV and Alliance Wakeboard magazine teamed up to bring the world the first-ever wakeboarding and wakeskating specific television series; Pull. Now this incredible series is available on DVD. This box set contains all 20 episodes with over seven hours of wakeboarding and wakeskating craziness in over 40 locations worldwide! Travel with Parks Bonifay and Danny Harf to wakeboard the waves and lagoons of Tahiti, explore hidden waterways throughout the European countryside with Aaron Reed and take a classic wakeboarding road-trip across the United States with five of the top riders in the world. All of this and much, much more! Get ready to experience the lives, personalities and, of course, the great riding of over 50 athletes. FUEL TV and Alliance are happy to bring two years of programming to you in this complete set  enjoy! Sidewayz has gone through countless hours of footage, both old and new, to bring you the most comprehensive wakeboarding movie to date, the Byerly film Retrospect. This film takes you back through the life of Scott Byerly and friends, and how he became the most influential rider in the history of wakeboarding. Retrospect will show you the true roots of the sport, and those who helped to shape and mold wakeboarding and wakeskating into the culture as we know it today. From the testimonies of friends and family, youll understand why Byerly is the icon that he is in wakeboarding and wakeskating. Retrospect is true to what wakeboarding was and is. So check out this film and carry on the legacy that your forefathers have laid before you. 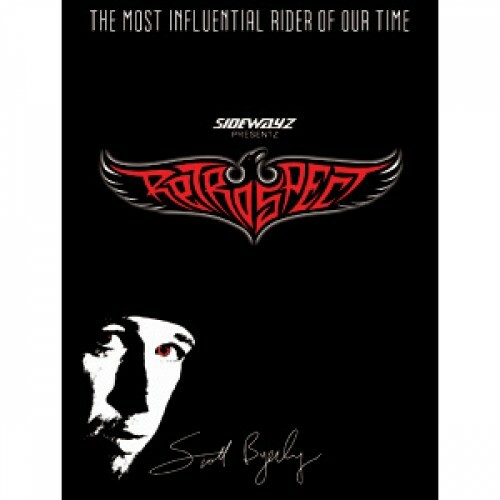 Producer Ronn Seidenglanz and his Sidewayz crew have released what may be their strongest film ever. 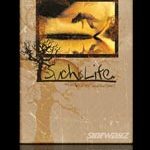 Such is Life is the new wakeboard and wakeskate handiwork from Sidewayz films. The movie features landmark wakeskating footage and unforgettable wakeboarding. The DVDs have been released and are shipping all over the world. Such is Life was filmed at many locations throughout the last year. The total running time is 49 minutes. The DVD includes an entire 25 minute long bonus movie called Concourse B that many may enjoy as much as the feature title. 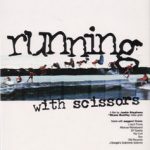 Also in the DVD bonus features are an assortment of lifestyle footage collections and interviews with Thomas Horrell, Gerry Nunn, Keith Lyman, Darin Shapiro, Joey Meddock, Erik Ruck, and Shaun Murray. The film features: Keith Lyman, Danny Hampson, Gerry Nunn, Patrick Panakos, Keith Lidberg, George Daniels, Phillip Soven, Jeff Weatherall, Nick Taylor, Ryan Lemons, Ben Greenwood, and the P-Unit crew. Additional appearances by: Parks Bonifay, Shane Bonifay, Scott Byerly, Brian Grubb, Shawn Watson, Rusty Malonowski, Aaron Reed, Ryan Doyle, Rob Jaques, Brandon Thomas, Cuki, Chad Sharpe, Tino Santori, Darin Shapiro, Dallas Friday, Gabe Paulson, Steph Wamsley, Danny Melino, Phillip Basino, Drew McGucken, and more. From carving the glass in the morning mist, to Nick Taylors three flip and hard flip, Byerlys back side nose slide shuv out of a pool gap, George Daniels line with a frontside flip to varial flip to kickflip to backside big spin, the movie has a blend of wakeskating and wakeboarding that captures a glimpse into the lives of these athletes. One full hour tips from equipment to deepwater and beach starts, wake crossing, driving tips and much more! The Heavener Brothers bring you this fine gem of a wakeboard video. Really well done with Keith Lyman, Erik Ruck, Shawn Watson, Aaron Reed, Parks, Grubb and an appearance by the man, Shaun Murray. 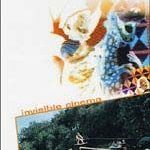 New release from Cadmium productions. A film by Justin Stephens. Shane Bonifay video grab. Just a note to THANK Seattle Water Sports for going the extra mile to make my new Robalo 222 a reality and dream come true for me. Thank you all, and I look forward to many happy years working with SWS, Tom C.
"We just took delivery of our new 2014 Robalo R207...The quality & performance are beyond our expectations and the Customer Service we received was outstanding-Thanks SWS! " The team at Seattle Water Sports is absolutely awesome! From the moment we walked in the door they provided outstanding service, great advice, and treated us like family! ... The extraordinary service doesn’t end with the purchase. They offered to survey the dock before we picked up the boat to give us advice on which bumpers to purchase and what protection we needed on the dock. They also were kind enough to give these “boating newbies” docking lessons and have been available for each and every crazy question as we're learning our boat. Most recently helped us tremendously to arrange for a boat lift installation. We will be lifelong Seattle Water Sports customers and highly recommend this outstanding team to anyone looking to make a boat purchase!